Line & Dot wows me every time with their beautiful feminine pieces, each with impeccable detail. This eyelet dress is a perfect summer staple to beat the heat in superb style; I love that they played with different textures, like the crepe inserts in the bodice and the adorable chiffon hem, that adds to the classic eyelet. This dress instantly took my imagined self to strolling the gorgeous botanical gardens in France and I knew I had the perfect accessories to embrace that dream. Chloe + Isabel recently launched their new summer collection, Retro Riviera, which is inspired by none other than my dream destination, the French Riviera. My absolute favorite pieces are their vintage floret jewels, because of their exquisite hand-painted detail and brilliant color and sparkle. They have such a fun summer vibe! I'm already outfit ready, so can someone loan their plane for a picnic in Nice? If you love fashion and you love these Chloe + Isabel jewels, you have a chance at breaking into the fashion industry! Become a merchandiser with Chloe + Isabel and make some money while having a blast. I've met merchandisers and been to a couple of amazing pop-ups they've hosted and I can tell you that these ladies are legit and they're a great community, so I highly recommend this opportunity! Plus their jewelry is beautiful, who wouldn't want to be surrounded by all that dazzle? When you apply, just enter "KyleHoneySilk"in the referred by field and select referred by a merchandiser. Have fun!! Line & Dot is giving away this summer-perfect eyelet dress to one of you fab ladies! Enter below and best of luck! Winner will be chosen July 18th. In love with the dress. I love tthe subtle drama of the Chloe+Isabel bracelets. The purse BRINGS IT! I just want to touch it! 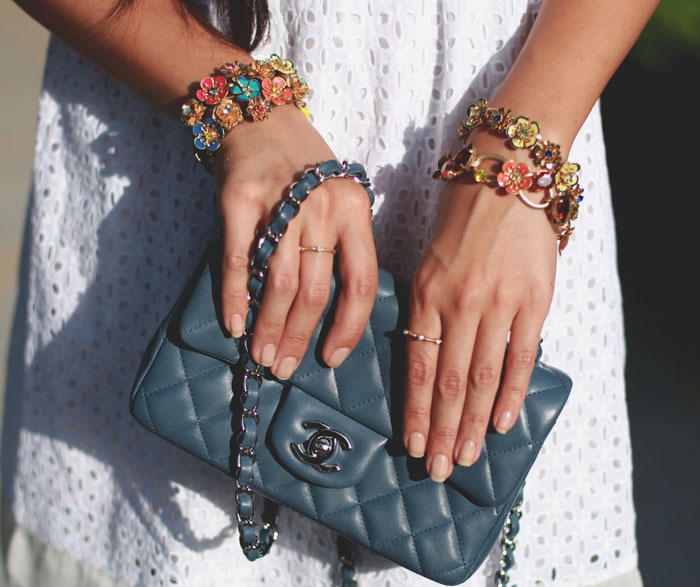 ohmygod, that Chanel is a dream! You are SOO beautiful, darling! Your taste is exquisite. 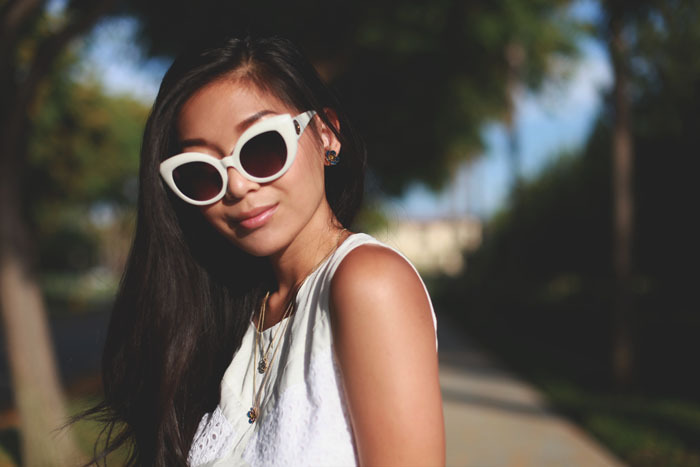 Love eyelet - such a classic look. Adorable sunglasses! I simply adore your pieces and outfits. Really I hope to win this dress, it's so airy and inspiring. I wish I could afford it. That dress is adorable! I love how it looks with those sunnies, too. Such a beautiful dress! I'm in love with anything eyelet! Reminds me of when I was younger! so much gorgeousness! 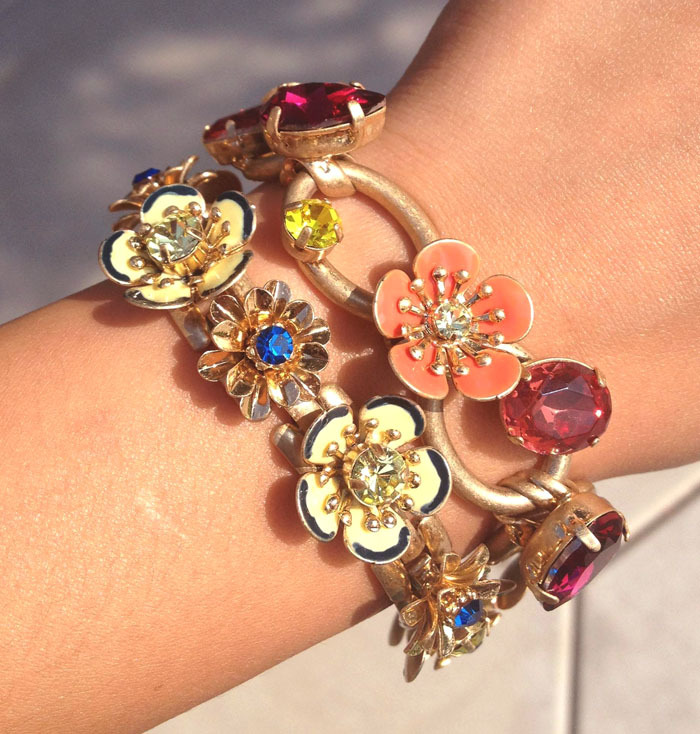 Drooling over the adorable flower bracelets! love the peek of skin on the back of the dress! Such a adorable dress! And a great giveaway! Gorgeous! I've been hunting for a beautiful eyelet dress! I'm so excited! I love your outfits!! Thanks so much for the opportunity! Can't wait to see who wins! I am absolutely in love with that dress! amazing giveaway! you look lovely!